Sign up to receive emergency notifications specific to your address through the Columbia-Richland Citizen Alert System. In the case of an emergency, you can be alerted via phone call, text message or email. Click here for more information. Prepare yourself, your family, your home and your pets for disaster by checking off the items on this FEMA-approved emergency supply list that can help keep everyone dry, hydrated, fed and safe. Once you've compiled the items for your emergency supply kit, learn how best to store them and where to store them so they are easily accessible during a disaster situation. Having a plan in place can help families stay connected, organized and safe during a disaster. The American Red Cross suggests families utilize this family disaster plan to keep informed, keep safe and keep together. To report downed limbs and debris blocking roadways, contact Richland County's non-emergency line at 803-576-3439. The Richland County Emergency Services Department employs a team of professional, knowledgeable emergency planners who help educate residents about how, when and why to be organized for emergencies. Click here to read more about the County's emergency planners. Watch Richland County Emergency Planner and Chief Meteorologist Ken Aucoin discuss how the County monitors and prepares for weather emergencies using RC WINDS. 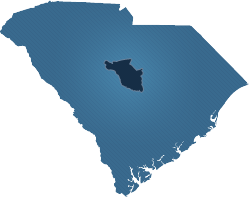 follow Richland County on Facebook and Twitter by searching @RichlandSC.